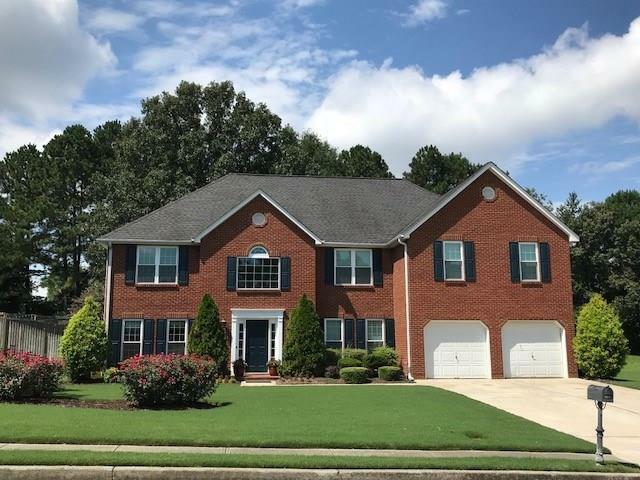 Well maintained & updated extra lg 2-story brick front traditional in swim/tennis community. This home is move in ready w/new windows, flooring, paint, cabinets, counter tops & appliances. Huge 2-story foyer, formal lv/din rms, open kitchen to cozy den. Guest bd on main & full bath & laundry rm. Walk out back door to an entertainers paradise. Lg covered back porch, built-in grill, sitting area & permanent outdoor smoker. Lush lawn & picture perfect landscaping. Incredible oversized mstr w/sitting area & sep office. Spacious bdrms w/lg closets. Don't miss this house. Directions: 78 Towards Loganville, Right On Rosebud, Left On Brushy Fork Road. Left Into Subd. First Left.